Biomass is the material derived from plants that use sunlight to grow which include plant and animal material such as wood from forests, material left over from agricultural and forestry processes, and organic industrial, human and animal wastes. Biomass comes from a variety of sources including wood from natural forests, agricultural residues, agro-industrial wastes, animal manure, organic industrial wastes, municipal solid wastes, sewage sludge etc. When biomass is left lying around on the ground it breaks down over a long period of time, releasing carbon dioxide and its store of energy slowly. By burning biomass its store of energy is released quickly and often in a useful way. Biomass resources can be transformed into clean energy and/or fuels by a variety of technologies, including thermal and biochemical. Besides recovery of energy, these technologies can lead to a substantial reduction in the overall waste quantities requiring final disposal. As far as thermal technologies are concerned, biomass can be converted into energy by simple combustion, by co-firing with other fuels or through some intermediate process such as gasification and pyrolysis. The energy produced can be high calorific value gases, electrical power, heat or both (combined heat and power). The advantage of utilizing heat as well as or instead of electrical power is the marked improvement of conversion efficiency – electrical generation has a typical efficiency of around 30%, but if heat is used efficiencies can rise to more than 85%. Biochemical processes, like anaerobic digestion, can also produce clean energy in the form of biogas which can be converted to power and heat. In addition, biomass can also yield liquid fuels, such as bioethanol or biodiesel, which can be used to replace petroleum-based fuels. Algal biomass is also emerging as a good source of energy because it can serve as natural source of oil, which conventional refineries can transform into jet fuel or diesel fuel. Biomass energy technology is quite flexible and can be applied at a small, localized scale primarily for heat, or it can be used in much larger base-load power generation capacity whilst also producing heat. Biomass generation can thus be tailored to rural or urban environments, and utilized in domestic, commercial or industrial applications. Biomass conversion reduces greenhouse gas emissions in two ways. Heat and electrical energy is generated which reduces the dependence on power plants based on fossil fuels. GHG emissions are significantly reduced by preventing methane emissions from landfills. Moreover, biomass energy plants are highly efficient in harnessing the untapped sources of energy from biomass wastes. Biomass energy systems offer significant possibilities for reducing greenhouse gas emissions due to their immense potential to replace fossil fuels in energy production. Biomass reduces emissions and enhances carbon sequestration since short-rotation crops or forests established on abandoned agricultural land accumulate carbon in the soil. Biomass energy usually provides an irreversible mitigation effect by reducing carbon dioxide at source, but it may emit more carbon per unit of energy than fossil fuels unless biomass fuels are produced unsustainably. 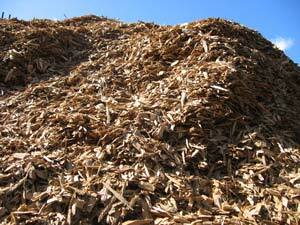 Biomass can play a major role in reducing the reliance on fossil fuels. In addition, the increased utilization of biomass-based fuels will be instrumental in safeguarding the environment, generation of new job opportunities, sustainable development and health improvements in rural areas. Biomass energy could also aid in modernizing the agricultural economy. When compared with wind and solar energy, biomass plants are able to provide crucial, reliable baseload generation. Biomass plants provide fuel diversity, which protects communities from volatile fossil fuels. Since biomass energy uses domestically-produced fuels, biomass power greatly reduces our dependence on foreign energy sources and increases national energy security. Biomass energy has rapidly become a vital part of the global renewable energy mix and account for an ever-growing share of electric capacity added worldwide. As per a recent UNEP report, total renewable power capacity worldwide exceeded 1,470 GW in 2012, up 8.5% from 2011. Renewable energy supplies around one-fifth of the final energy consumption worldwide, counting traditional biomass, large hydropower, and “new” renewables (small hydro, modern biomass, wind, solar, geothermal, and biofuels). Tagged Biochemical, biofuels, Biogas, Biomass, Biomass Energy, Biomass Wastes, Energy, Greenhouse Gases, Heat, Power, Renewable Energy, Rural Development, Thermal, Wastes, What is Biomass Energy. Bookmark the permalink. Its a tremendous work which you are doing, I would love to be a part of it, from your work am inspired lot and going to carry my project regarding environmental protection.